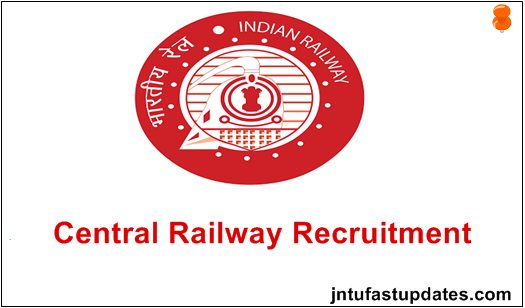 Central Railway Apprentice Recruitment 2018: Central Railway Recruitment has invited application from eligible candidates for recruitment to 2573 posts of Apprentice. Online applications have been invited by the Central Railway for engagement of Act Apprentices for imparting training under the Apprentices Act 1961 in the designated trades at Workshops/Units in the jurisdiction of Central Railway. Fee payment will have to be made online through payment gateway as part of online application process. The payment can be made by using debit card / credit card / Internet Banking / SBI Challan etc. by providing information as asked on the screen. This provision is applicable to the candidates of all states and Union Territories except the state of Jammu and Kashmir, Meghalaya and Assam. Applicants from these states can enter in the online application form, their voter ID number, valid passport number, driving license number or any other valid Government identity card at the time of online application. Candidates have to produce original Aadhaar card or document mentioned above, at the time of document verification. For More Details click below Notification.